New 2019 Prius LE (1223) (Stock # 9120005) “Advertised lease” for $269/mo. for 36 mos. plus sales tax, other taxes, tag registration, tag agency/electronic filing fee and government fees. $5,585.67 due at signing, includes $3,975.34 down payment, $798.50 dealer fee and $269 first month’s payment. Option to purchase at lease end $16,244. Excess mileage at $.18 per mile over 12,000 miles/year. Total Lease Payments of $9,684. $0 security deposit, $350 disposition fee at lease end. Closed end lease on approved credit through S.E.T.F., min. 720 beacon score. Good through 04/30/19. It’s never been easier to go green than from behind the wheel of a new Toyota Prius. This ground-breaking hybrid car is renowned industry-wide not only for its unbeatable fuel efficiency, but also for its clean, green performance that helps you do your part for the planet every time you push start. 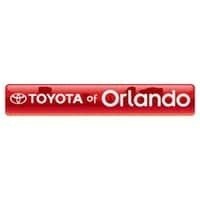 Integrate the Orlando Toyota Prius into your daily drive time and do good (and save money, did we mention that?). Save money and drive green – the new Toyota Prius operates on a unique hybrid system that uses both gasoline and electric power to get you where you need to go. A sleek hatchback design allows for a spacious and versatile interior, and you won’t just find top technology under the hood. The cabin of this green hybrid car offers you advanced features like Entune 3.0., Head Up Display, and navigation, as well as an 11.6” multimedia display. And did we mention it gets 54 mpg in the city and 50 mpg on the highway? Make it yours and start saving both your money and the planet. Get behind the wheel of the new Toyota Prius today at Toyota of Orlando.